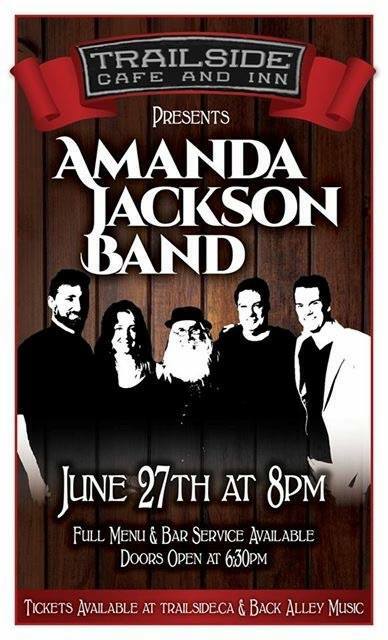 Amanda Jackson Band: Summer is Almost Here! We're heading back to one of our very favourite venues on Saturday, June 27th and we're bringing the whole gang! The stage will be cozy but we wouldn't have it any other way! We were working on some new songs last night including a brand new original song, something familiar and a new twist on an old favourite! Be sure to make your reservations and buy your tickets soon as the Trailside Café & Inn is filling up quickly! Click here for all of the details!